To round out our family of services, Elim Care is pleased to offer these specialty services to our constituents. The following services concentrate on four different areas, including end of life support, medical supplies, senior adult education and best practices. The Community Health Foundation (CHF) is an independent, non-profit 501(c)3 organization that exists to improve the quality of life for people in Wright County, Minnesota. For more than 25 years, CHF has been a champion of health issues and wellness education in the communities throughout Wright County. 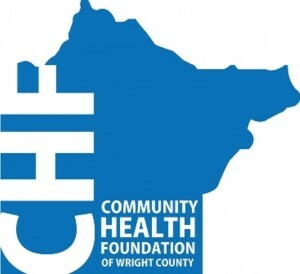 By implementing a wide range of health centered projects and initiatives throughout the county, CHF has successfully carried out its mission of improving the health and quality of life for the citizens of Wright County. CHF relies solely on charitable contributions in order to administer its programs. Through a combination of individual gifts, corporate gifts and grant opportunities, CHF looks forward to making a significant impact in Wright County over the next 5 years. In 2008, CHF merged with Elim Care, Inc. to reduce operational costs and expand its housing and health care services in Wright County. Click here to find out more about Lakeside Oasis, an end-of-life wing on the Lake Ridge Care Center in Wright County. To go to the Community Health Foundation website, click here. Since the early 1990′s, Elim Preferred Services has been dedicated to providing the highest quality, most cost-effective medical services and products to long term care providers. We strive to be the provider of choice in the long term care industry, meeting our clients’ day-to-day needs with confidence. It has, and will continue to be, our promise to our customers to always put service first while maintaining a deep commitment to excellence and integrity. We look forward to establishing a lasting relationship with you. If you would like to learn more about Elim Preferred Services, our knowledgeable Customer Service Representatives are available Monday through Friday from 8:00 am to 5:00 pm, CST. We can be reached by calling (763) 550-9486 or (800) 967-1786 or you can email us at [email protected]. Thank you for choosing Elim Preferred Services. Empira is a collaborative and cooperative effort of older adult service providers in Minnesota working together to integrate clinical excellence and best practices across the care continuum. Elim Care is not only a member organization of Empira, but provides office space, meeting rooms and other resources in order to support the objectives of Empira. To promote clinical excellence in the individual organizations, amongst the partners, and across the care continuum. To customize protocols and utilize evidence based practices designed by researchers, industry experts, and academicians for clinical conditions. Many of these practices are designed to be used across the care continuum. To train staff to implement these clinical practices and affirm a culture of quality and empowerment, which will have mechanisms in place to sustain this knowledge in the organization. To improve the quality of care and services provided quantifiably demonstrated by improved client and employee indicators. To utilize measurement systems that will be shared within the organizations, amongst the members of the alliance, and compared to national, state and other benchmarked data. To introduce and use leading edge knowledge and technology in operations where payback will result in cost neutrality or cost reduction. To enhance employee satisfaction through empowerment, education, and utilization of technology resulting in improved job satisfaction. To provide a variety of educational opportunities, modalities, and events to our membership. For more information on Empira, click here. Guardian Angels † Elim Hospice provides a special way of caring for people who are in the final stages of life. The goal of hospice is to give emotional, physical, and spiritual support to individuals nearing the end of life and to their families. Hospice caregivers strive to provide education and expertise while also improving patients’ quality of life through pain and symptom management. To learn more about the services provided click here.